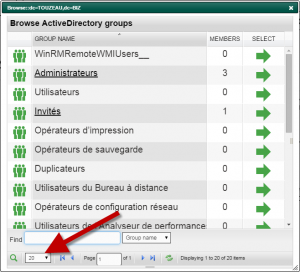 Home » Setup and Install » Active Directory connection » The Active Directory browse group form display only 20 items. 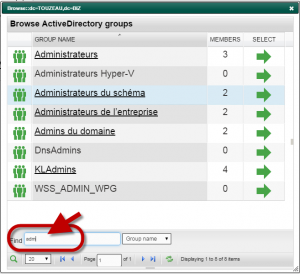 The Active Directory browse group form display only 20 items. 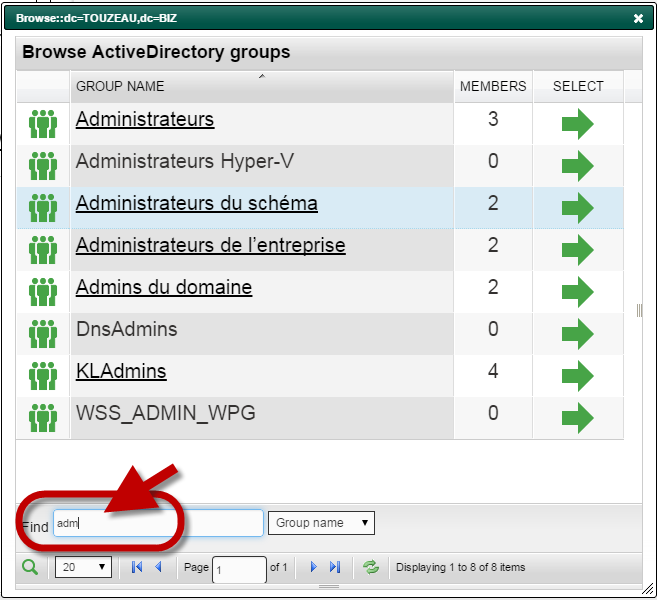 When selecting an Active Directory group, the table only display 20 items why ? 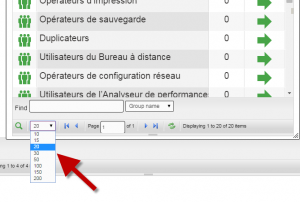 This to not load the LDAP request and not overload the web interface by calculating items. 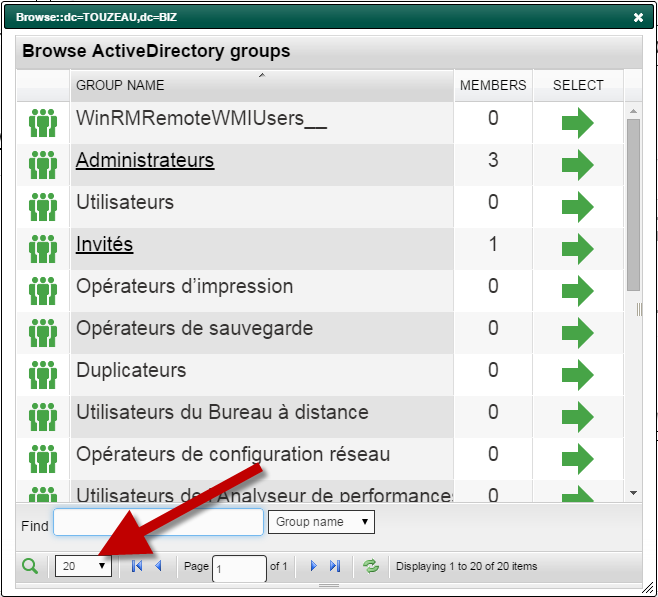 1) Increase the drop-down list items list. Choose 200 in the drop-down list.